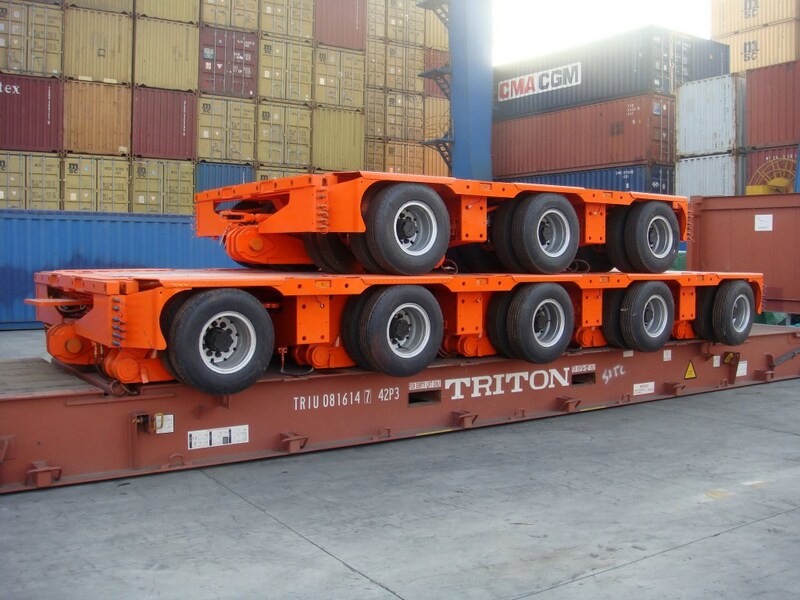 Most of our trailer’s width is wider than 2.5 meters, flat rack container is an usual way to transport our multi axle trailers for ocean shipping, it is pretty useful and efficient to transport the oversize trailer and other specialized trailer parts like spacer and bolster. To save sea freight, bulk vessel and RO/RO vessel are options. 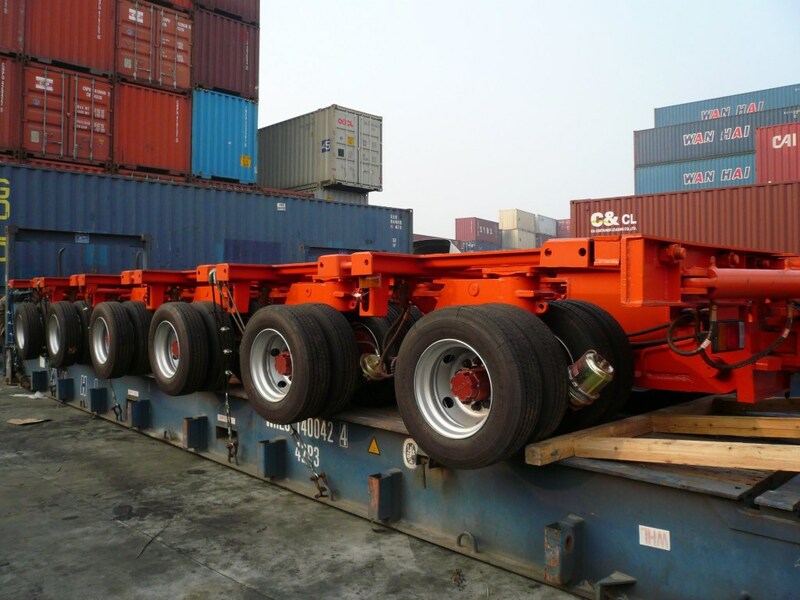 This 6 axle-lines multi-axles trailer in the photo was exported to India. We have exported more than 100 axle-lines(rows) hydraulic modular trailer in 2007.